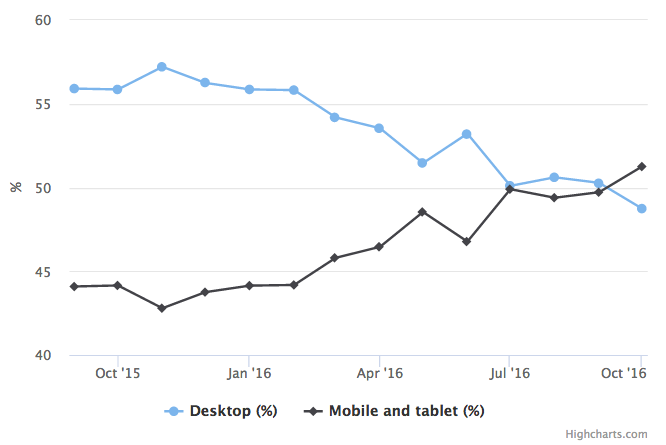 It’s no secret that the modern day smartphones are overtaking the desktop’s dominance as the primary gateway to the Internet and for media consumption. Smartphones have become users’ most important device driven in part by the rise of cloud computing. It looks like the only reason to use a computer is for work-related tasks, but that too won’t last long. Of course it’s not the best alternative to my MacBook Pro because I don’t have all my professional tools (Photoshop, SketchApp, Final cut pro, Xcode etc) for my Android device. But I think it’s only a matter of time until professional tools will be available for ARM-based devices. At least we have Microsoft Office and a lot of productive apps for most Android users. After all, not everyone is a UX designer or a professional video editor. Today, more than ever before, we can say that desktop computers won’t be around forever. Hence, most of us have a powerful device in our pockets, and it is already productive and makes our lives easier, even at work! So nowadays smartphones are powerful enough to run productive and creative applications, and most of today’s operating systems are already designed to scale and adapt to all screen sizes (responsive design) out there: Smartphones, Tablets, PCs, Consoles, TVs, IoT, and MR/AR/VR devices. Until recently, Linux (and most of the Distros) was the only OS you could install on most of the devices and computers that support for X86 and ARM CPU architectures. But thanks to Android Open Source Project (AOSP) we’ve seen more and more devices and even computers running Android. Just like Linux and Android, Windows 10 will soon be able to run on ARM processors and emulate traditional desktop (X86) applications. It even runs full Office Suite. And if that’s not enough, you can even run the full version of Adobe’s Photoshop on top of ARM devices running Windows 10. So in the near future, Windows Universal Platform (UWP) will be installed on all kind of devices (Mobile, HoloLens, Xbox, Surface, IoT, etc) and will share the same Eco-system: one SDK, one Windows store, and it will even make developers’ lives easier, they’ll have to develop once, and their apps will be available for all Windows 10 devices. There have been many hybrid devices from different manufacturers who tried to do that, transforming phones into tablets, and even to laptops, and there were even weirder “Frankenstein” devices in the past. But as I said, thanks to Microsoft’s Windows 10 Continuum, Samsung DeX, and Jide’s Remix Singularity (Unofficial Android OS), soon you’ll be able to use your smartphone as a desktop computer! Not to mention, today we have so many Cloud applications (SaaS), Streaming services, and Web apps for work related tasks, that even if there’s no native application for your platform, you can still get the job done. OK, let’s talk about Apple! An iPhone that turns into a MacBook and iPad (with iPhone as its brain). A MacBook that turns into an iPad by detaching the screen from the base. Once the UI is Adaptive and the OS supports both x86 and ARM (with x86 emulation for legacy desktop apps) then we‘ll be able to buy the modular device we need! With special accessories to turn your iPhone into a MacBook, and also into an iPad, powered by your iPhone. As shown in my concept video. Detach the screen from your MacBook’s base and it turns into an iPad! The UI automatically adapts itself and changes to Tablet-Mode (iPad UI). 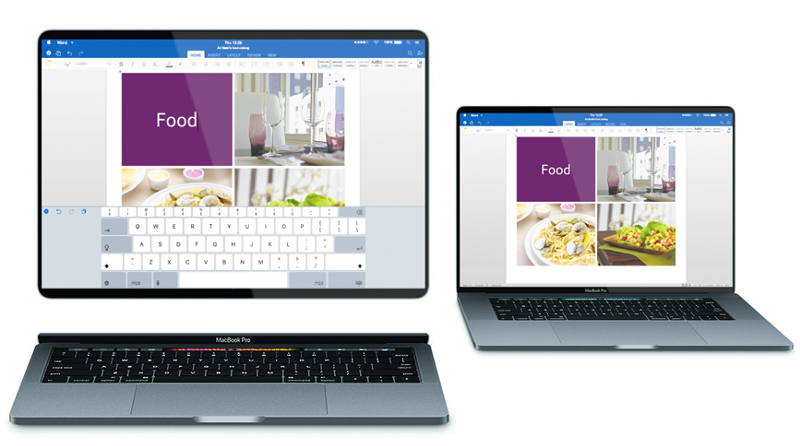 And even if you’ll buy an iPad without the base, you can use it as a Mac — simply by connecting your Smart Keyboard, or any other Bleutooth Mouse and Keyboard and the UI automatically changes to Desktop-Mode. With x86 emulation, you’ll be able to run any desktop App (Photoshop, 3D Studio, Sketch, etc). Turn your MacBook Pro into an iPad Pro by detaching the screen from the base. Prepare yourself, know the rules. For additional guidelines click here. This article is related to my previous articles, Check out Part 1 and Part 2.